GREAT VALUE. Price Reduced for quick sell. Live the RESORT LIFESTYLE in PEACEFUL LAKESHORE RANCH!! 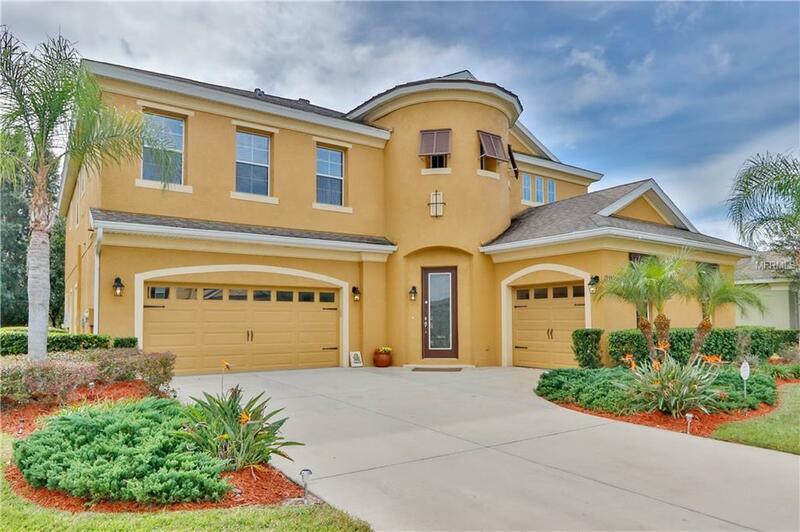 Stunning family home located on one of the most desired cul de sac's in Lakeshore Ranch. You will fall in love with this very stately home with an incredible floor plan. This 5 bedroom 4.5 bath plus Den & Bonus Room has a 3 car garage plus salt water heated pool & spa overlooking a serene conservation. This is the perfect home for entertaining. Oversized kitchen and oversized island with spacious breakfast nook that overlooks patio/pool with views of private and beautifully landscaped backyard. Deluxe kitchen features every upgrade imaginable plus 36 inch gas stove upgrade and wine fridge. The Master Bedroom & Bonus Room opens with french doors to a covered lanai perfect for relaxing and enjoying the peace and privacy of conservation. Grand master bedroom & bath with 2 generous walk in closets. The spacious laundry room is conveniently located on the second floor. The lanai is pre-plumbed and ready for your dream outdoor kitchen. Community amenities include: brand new gym, community leisure, lap, and baby pools heated year round, community playground, dog park, manned guard and security 24 hours a day, amazing clubhouse with pool tables and family events throughout year. There is also a lake with a dock for fishing. Don't miss your opportunity to own this once spectacular home! !